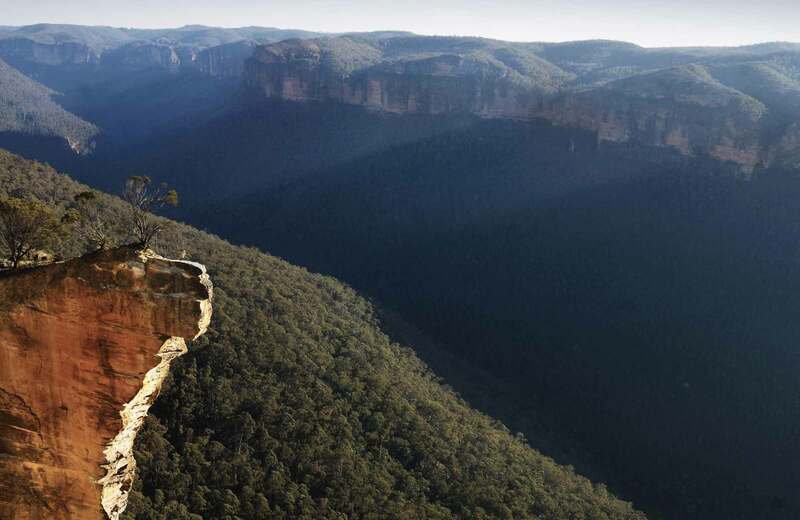 For scenic views of the famous Blue Gum Forest, try this challenging walk through World Heritage listed Blue Mountains National Park down to the famous Grose Valley. 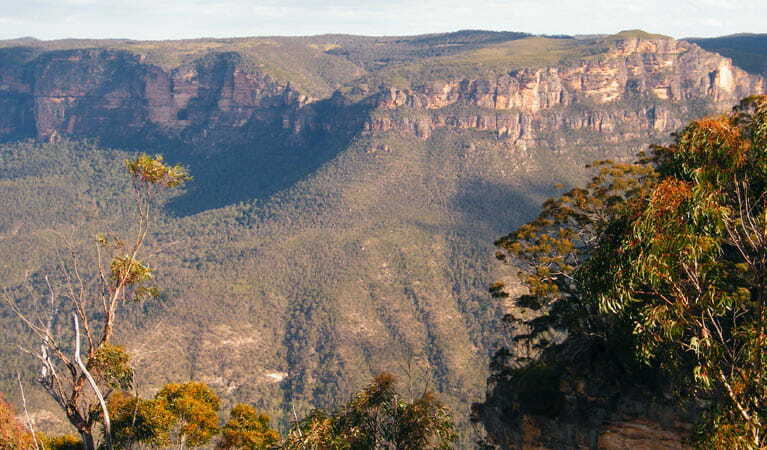 Taking in the air at the Blue Mountains is almost a national pastime, and your best chance to do that is on this challenging and rewarding walk. 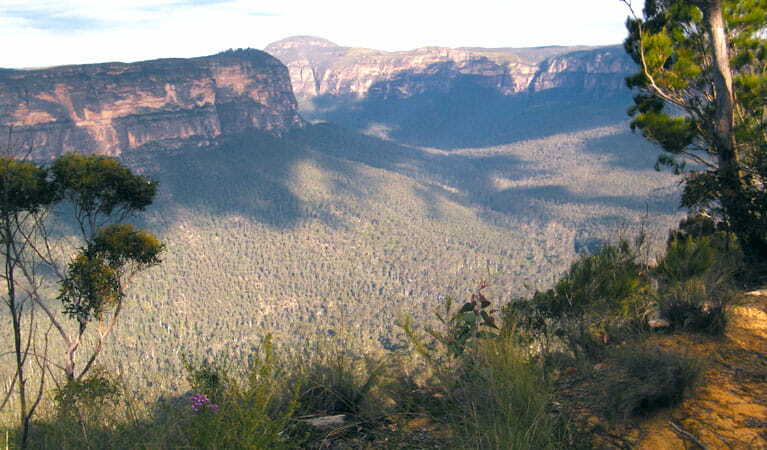 From Perrys lookdown, take a moment to gaze across the beautiful valley. Descending the steep track from Perrys lookdown, you’ll pass a large swamp before making your way down the steep cliff line. You might even be lucky enough to catch sight of the red headed gang gang and yellow tailed black cockatoo; this is a great walk for birdwatching. Follow the track to the edge of the spectacular Blue Gum Forest where tall gums rise out of the fertile ground. Lean against the trunk of a deanes blue gum for a bite to eat and listen for the tinkling call of the bell miner. From here return up the cliffs or pitch your tent at the nearby Acacia Flat campground. 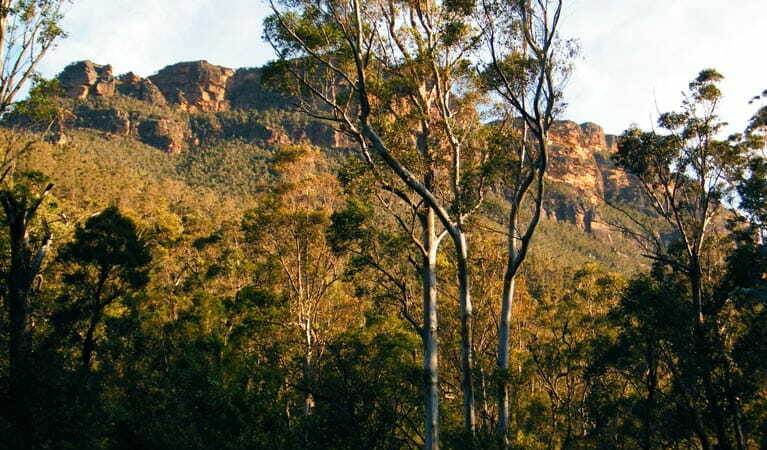 Take a virtual tour of Perrys lookdown to Blue Gum Forest walking track captured with Google Street View Trekker.